I am sure many of you must be wondering as to what’s great in equating Pakistan to disaster or for that matter how does one say that in 2010 Pakistan became synonymous with disaster as it has for years been the terrorist hot spot of the world? But then 2010 was different? With more than 50 suicide attacks killing and injuring thousands, this year has been the bloodiest in a decade. 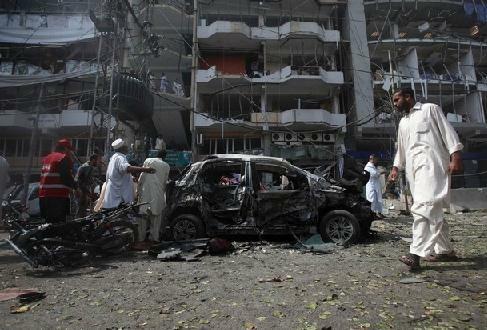 These attacks haven’t been limited to Waziristan or some other god forsaken regions. But instead Islamabad, Karachi, Lahore, Rawalpindi – all the main cities have been targeted with targets ranging from markets to police academies to even the World Food Distribution Program. Pakistan own creation – Lashkar – e – Toiba and Al Qaeda and thousands of other splinter terrorist groups are striking back on the country of their birth for reasons from supporting USA to inaction against India. But then terrorist attacks haven’t been the only problem? Corruption and Greed as prominent as always has literally RAPED the economy with inflation crossing 20% many times. The FDI has dropped to pathetically low levels. Industries and foreign companies are closing down. Tourists especially to once-beautiful-now-terrorised regions like SWAT have fallen down dramatically. Whatever was left after the terror attacks and corruption was destroyed by the floods. The biggest flooding in more than 50 years killed and rendered thousands homeless destroying the economy completely. Seeing how the aid provided by the world countries had seen its way to the terror groups, countries didn’t really donate much this time around. Sad for the people :(. But then when your own government doesn’t care a damn and people like Zardari and Kayani are more interested in gaining power, what does one do? All in all Pakistan took infinite steps backward to disaster in 2010!